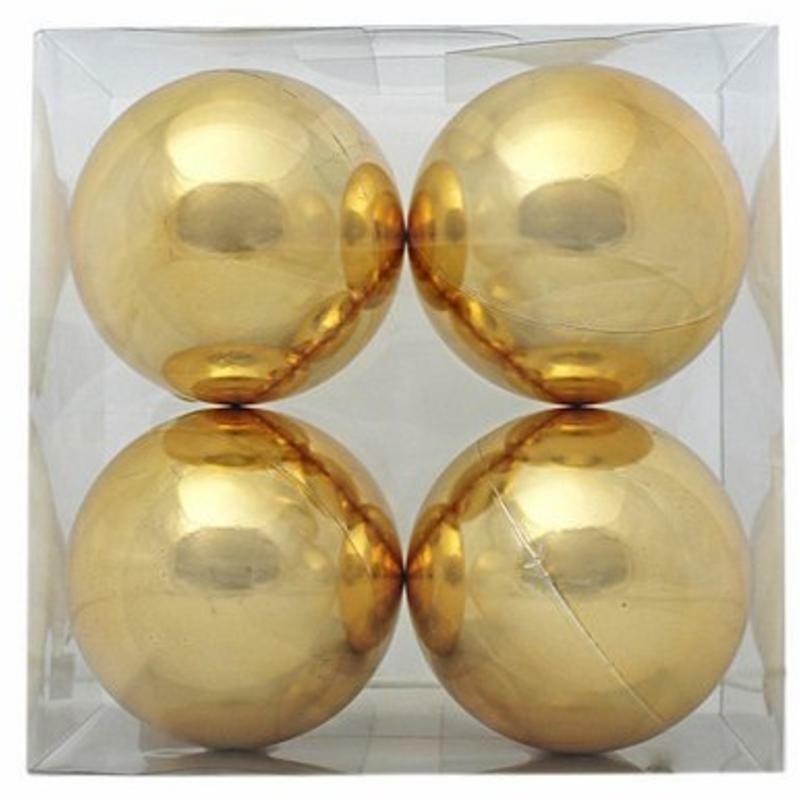 This 4-piece set of Gold Baubles are each 13cm in diameter, and the package makes an excellent gift-quality presentation, measuring approximately 26cm by 26cm. These are generous-sized, dazzling ornaments to hang on a tree, door, or window of the home. The prefabricated hanger makes it easy to thread ribbon or wire for your holiday projects and decorating ideas. These would make a sharp compliment to your other tree trims, and could be personalized with a permanent marker or paint-pen. Consider using these beautiful Christmas Decorations for parties, as great style accents and unique party favours! 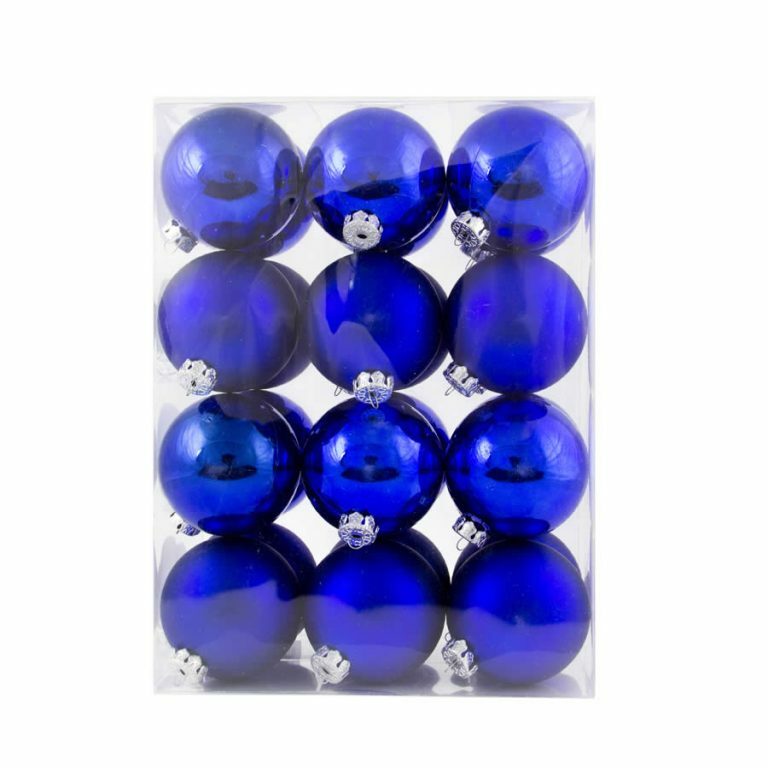 The resistant and durable material of these baubles is shatterproof so you don’t have to worry about little hands getting hurt when helping you with holiday preparations. These look stunning when hung with ribbon at varying heights in a window or glass door. The shiny gold surface makes each bauble twinkle and shine while welcoming your holiday guests this season.